Preparing a decent meal at home requires enough time. As a wife, I make sure to serve healthy food without the shortcut. It's not a joke when I tell you that our supper has always been vegetables or fish. That is why I always buy herbs, vegetables and fruits to make my home-cooked meal more flavorful. Cooking for more than 30 years, the experience in the kitchen has taught me how to modify or create variety of dishes depending only on available ingredients. One of my favorite vegetables is US Potatoes. 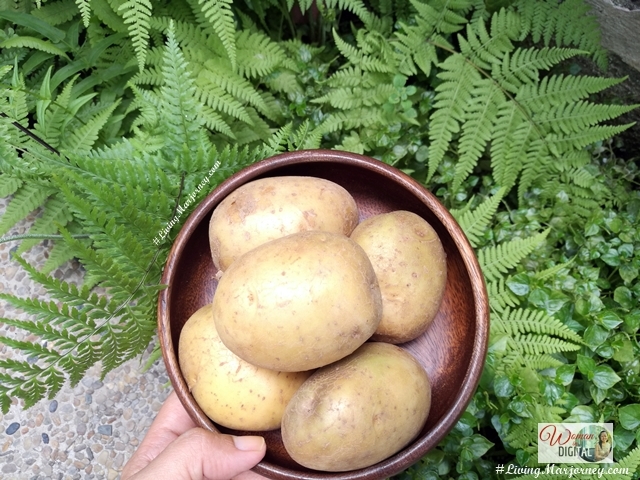 Potatoes are high in vitamins and minerals. US Potatoes are versatile and easy to cook. A medium sized potato only contains 110 calories. Potatoes are high in fiber content, vitamins C and B6 help reduce free radicals; and carotenoids help maintain proper heart functioning. Here in my country, we love this soup called bulalo or Bone Marrow stew. Sometimes Other days, I wanted something like chicken afritada or caldereta. These dishes are best when added with potatoes. Last Christmas, I bought a new kitchen appliance that makes cooking more fun and easier. I never thought I could prepare dishes in a slow cooker that are usually done in an oven. I'm impressed and happy. 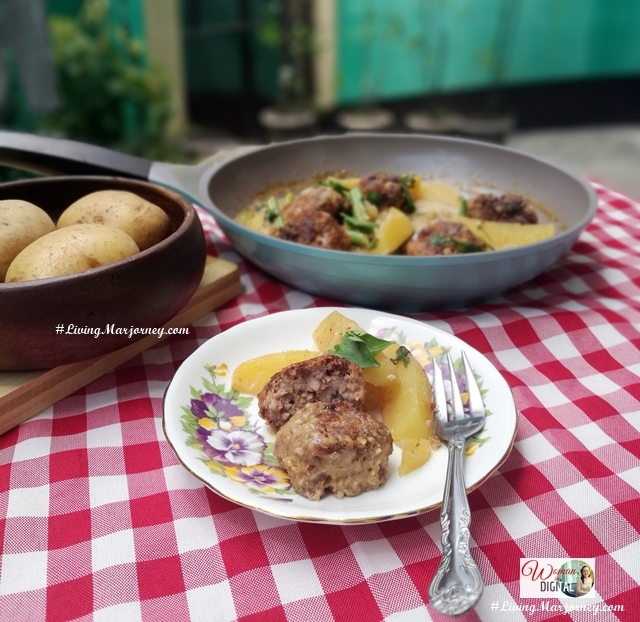 So last Christmas, I cooked Pork Beef Stew with US Potatoes amidst the busy holidays and it was easy. 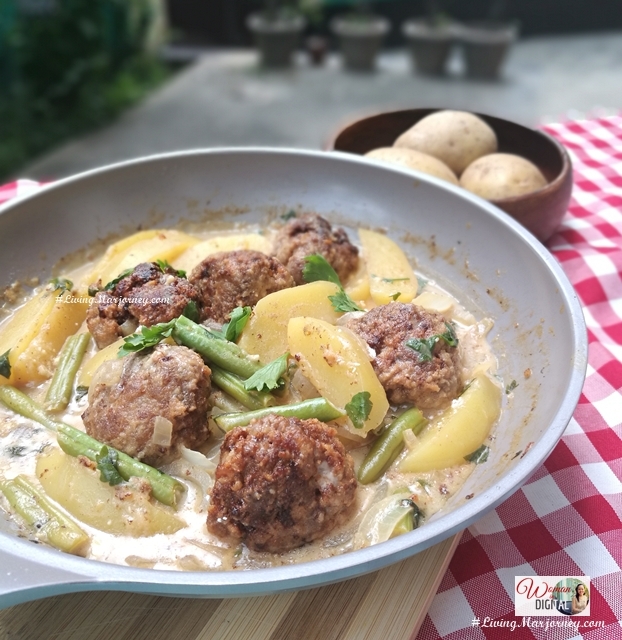 Today, I came up with another delicious dish - meatballs and US potatoes blended with creamy sauce. 1. 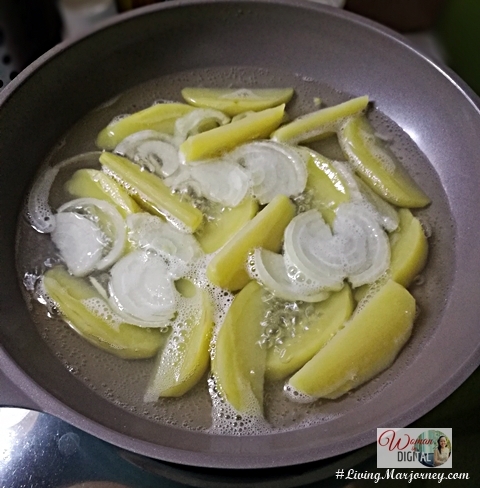 In a non-stick skillet, combine potatoes, water and onion. Bring to boil. Reduce the heat to low and simmer 5 minutes, stirring occasionally. 2. Add green beans and meatballs. Simmer for another 5 minutes until veggie is tender. I save money on groceries if I buy US potatoes in bulk. Potatoes USA have long shelf life, if properly stored it would last 3-5 weeks in the pantry and 3-4 months in the refrigerator. I can make potato omelet with lots of herbs for breakfast or a hearty potato and ham soup for supper.